3PLs need the flexibility to deliver against multiple customer requirements simultaneously. Our logistics management software is built to meet this challenge. Third-party logistics (3PL) providers face a challenge that sets them apart from in house operations, serving the needs of many diverse customers simultaneously and doing so efficiently. This situation demands a high level of flexibility and agility in warehouse and transport operations. Each customer brings their own specific requirements to the table – EDI links, product needs, storage requirements, rework / preparation / packaging needs and distribution schedules to name a few. CALIDUS Total Logistics is designed to help 3PLs overcome their most complex supply chain challenges. The modules of the solution can be implemented individually and integrated with your other systems if you require only part of the solution. However, by integrating our best-of-breed transport and warehouse management software, it enables 3PLs to plan and control the flow of goods from collection/receipt to final delivery - providing visibility throughout the entire supply chain lifecycle for themselves and their customers through customer web portals. And most importantly, workflows can be configured to reflect the specific needs of each customer. Global and independent 3PLs rely on CALIDUS Total Logistics to ensure they never fail to deliver. 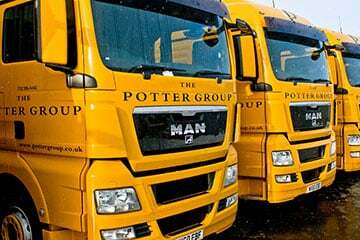 Our customer base includes DHL, Potter Logistics, Hanson Transport, TNT Fashion and Tradeteam. Agility - Configure your system to meet the needs of multiple customers and product types. Client-specific functions mean you can simultaneously serve clients in pharmaceuticals, food, drinks, fashion, electrical goods, chemicals - the list is endless. Efficiency - Drive efficiencies throughout your warehouse and distribution network with precise KPI monitoring and reporting. Use our WMS to ensure that all added value operations are systematically recorded and accurately billed. Invoice clients promptly and accurately with client-specific tariffs. Integration - Exchange data with client systems to their specific message formats and flows, allowing them to update their business systems with up to date inventory and orders status. Integrate seamlessly with your existing finance, ERP and other logistics systems. Customer service with reduced administration - Provide customer portals to allow customers to monitor inventory levels, place orders and to track orders through to proof of delivery (POD) with live ETA visibility during the transportation process. Administration is reduced by the customer taking responsibility for the entry and accuracy of their orders, and answering their queries online without the need for calls to customer services. CALIDUS WMS is the warehouse management software of choice for leading 3PLs operating across multiple locations. It is deployed as a strategic solution to increase the visibility and accuracy of warehouse operations, and is totally scalable for small and large warehouses alike. CALIDUS TMS is a comprehensive transport management system that enables 3PLs to optimise inbound and outbound distribution. It includes real-time delivery tracking, cross dock management and extensive tariff and billing facilities. CALIDUS TMS will readily integrate with your existing systems such as telematics and ePOD. CALIDUS ePOD and TTM (Track and Trace Management) provide a delivery execution and order level tracking solution, enabling drivers to capture POCs and PODs on mobile devices and update the central tracking system while they are on the move. A customer portal enables individuals to enter and track their own orders throughout the entire process.